BANGKOK,THAILAND - OCTOBER 31: Tassaporn holds her son Poonawat,3, on a makeshift raft as they wait for more supplies to bring home in the Thonburi area October 31, 2011 in Bangkok, Thailand. Thousands of flood victims have been forced to take shelter at crowded evacuation centers around the capitol city. Hundreds of factories have been closed in the central Thai province of Ayutthaya and Nonthaburi. 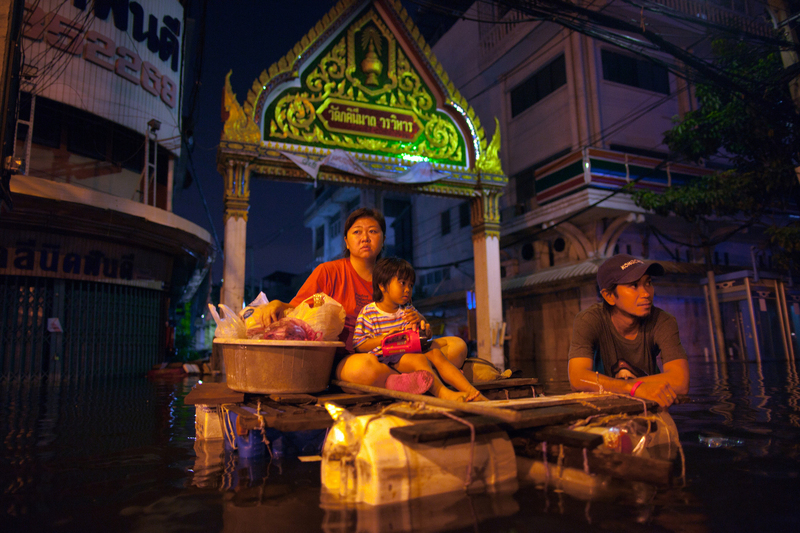 Thailand is experiencing the worst flooding in over 50 years which has affected more than nine million people. Over 400 people have died in flood-related incidents since late July according to the Department of Disaster Prevention and Mitigation.